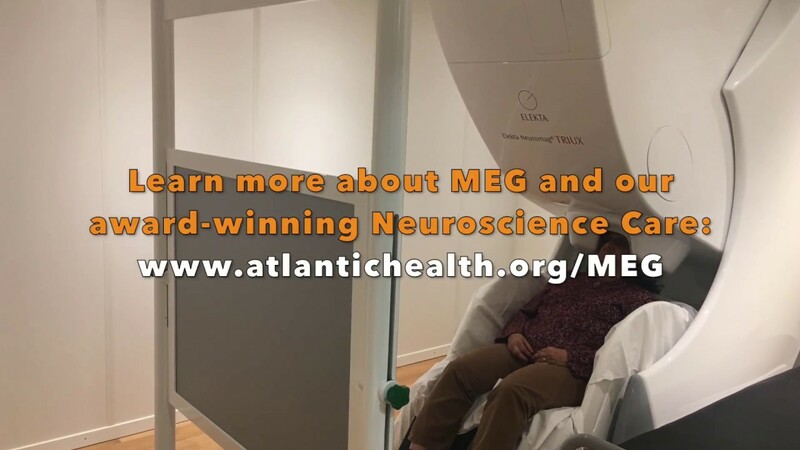 Magnetoencephalography (MEG) scan is a completely noninvasive procedure that uses precise sensors to detect and record the magnetic fields associated with electrical activity in the brain. Atlantic Health System Neuroscience's Epilepsy Center at Overlook Medical Center is the first center in New Jersey to evaluate patients with this technology. MEG scan is used for patients with epilepsy and those who will undergo tumor resection surgery. It can localize the precise areas of the brain that are still healthy and functioning, helping the surgeon to determine a successful surgical approach. With a clear picture of which areas to avoid, the surgeon can be more successful at performing the procedure without affecting functions such as the senses, language and motor control. In addition, for epilepsy patients, MEG enables physicians to determine with precise accuracy the location(s) where the epileptic activity originates. They can use this information to decide if you are a good candidate for surgery, and also to plan the surgery itself, if necessary. MEG is usually an outpatient procedure, and little patient preparation is necessary. For patients using MEG to measure epileptic activity, the scan lasts for 30 minutes to an hour. They can take breaks or even go to sleep. If MEG is being used to localize sensory areas of the brain, patients will be presented with stimuli such as tones or images. Each sense takes about 10 minutes to scan.